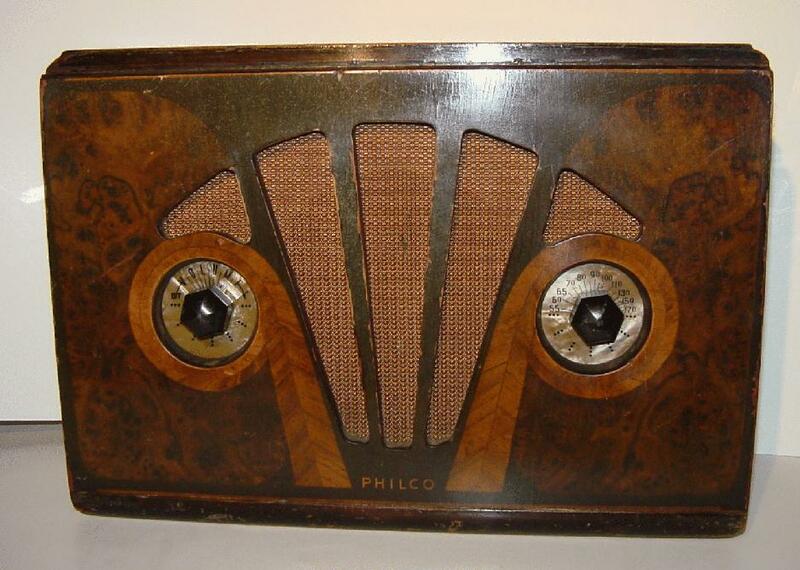 known as one of the Philco "owl eyes". It was however, the last in the series. the set uses FAUX (photo) finish. detector), 42 (AF o/p) & 80 (rectifier). No AVC is provided. Schematic. one of the series to have these! 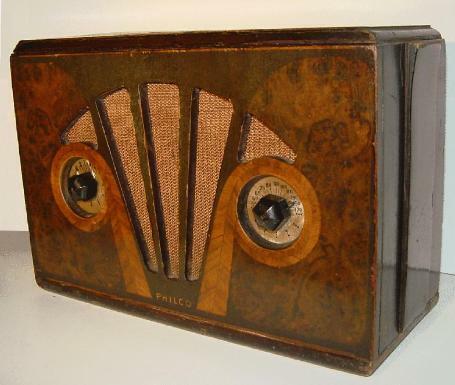 ...a powerful radio with full, rich tone.